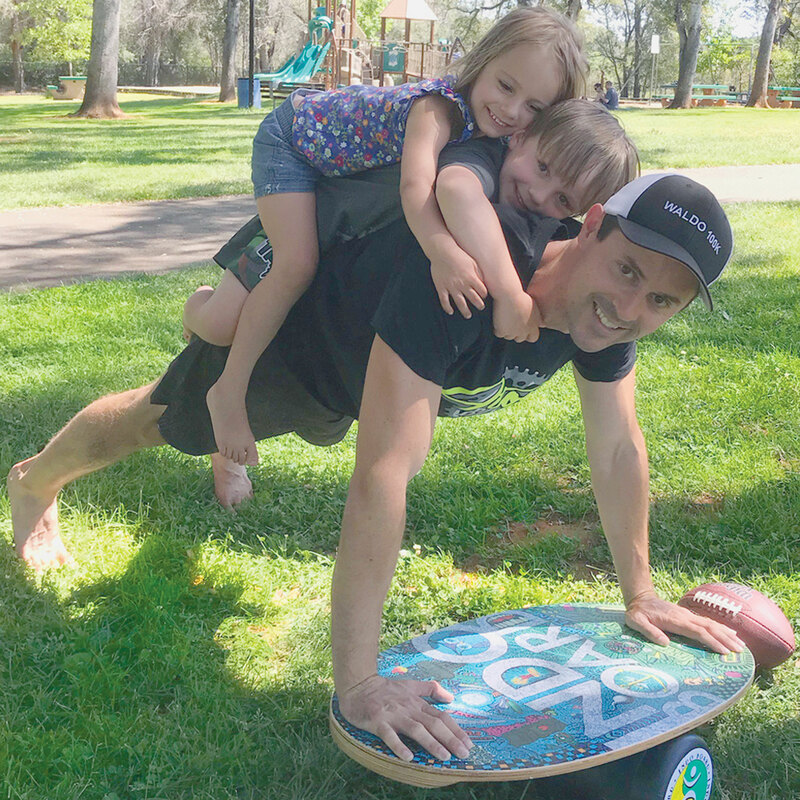 When JJ Thomas, the 2002 Olympic bronze medalist and Winter X- Games gold medalist, trains he uses Indo Board Balance Trainers. JJ trains with Paul Hiniker one of the top fitness trainers in action sports. 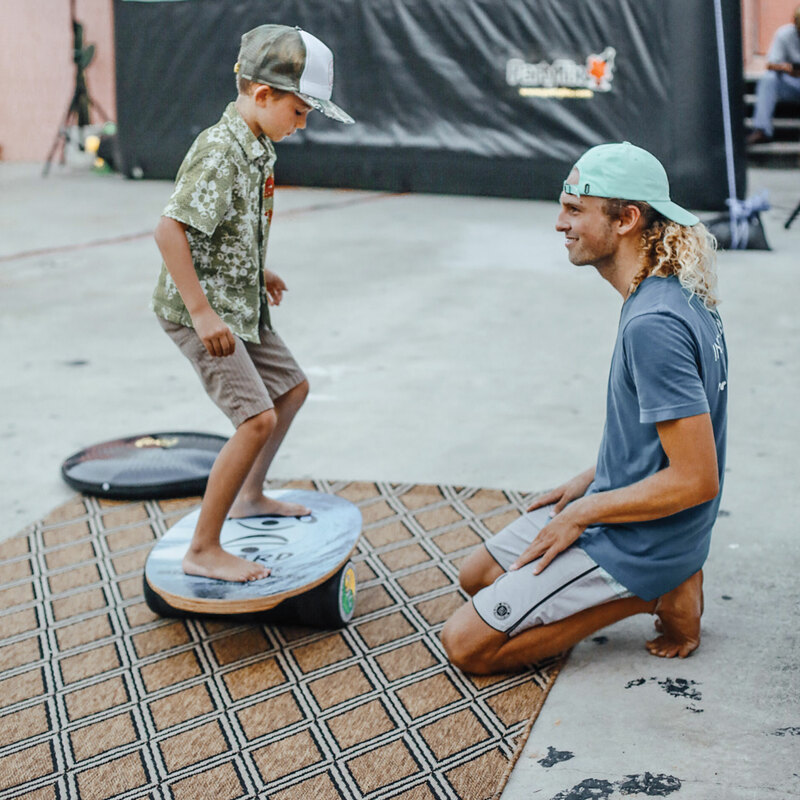 Paul trains many of the top surfers and snowboarders in the world and is an expert when it comes to improving balance and stability through sport-specific functional strength training. In these photos Paul takes JJ through a workout focused on improving both balance and stability by using a wide range of exercise which are all done on the Indo Board Mini Pro deck and Indo Board Gigante cushion. 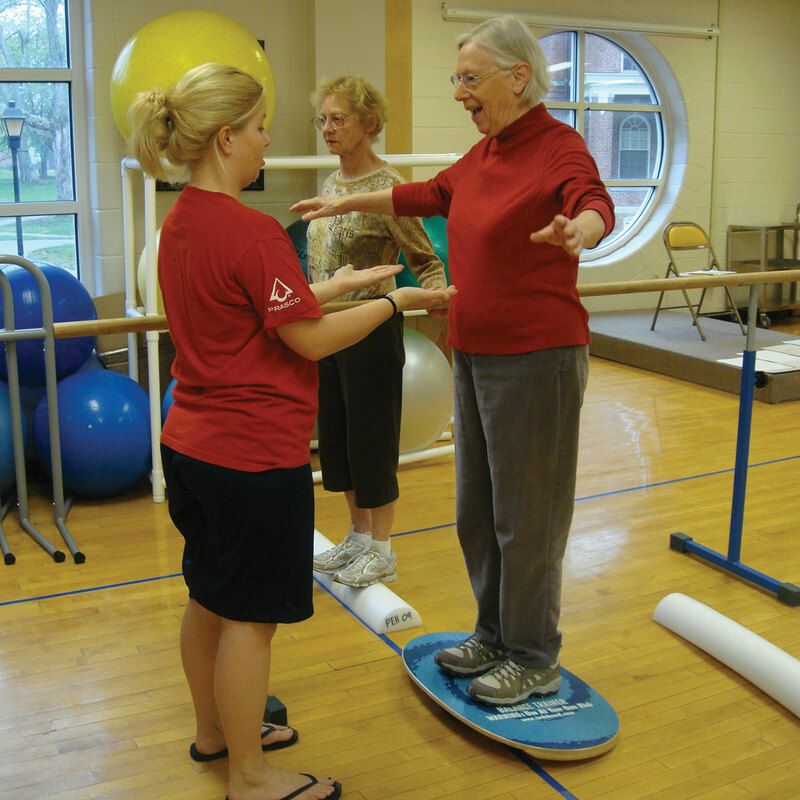 Paul believes that training on an unstable surface is the best way for board sports athletes to create better balance and stability throughout their entire kinetic chain. In these pictures Paul has JJ using kettlebells to create added weight and instability to all the movements. Thanks to Frogs Fitness in Encinitas, CA for use of their facility.